Sorry, we have no offers to display for this destination. 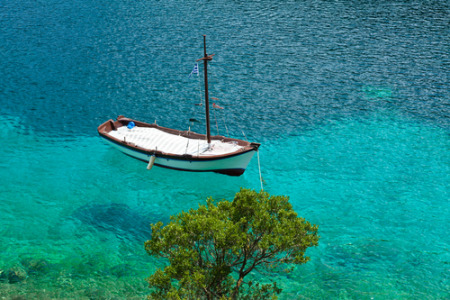 Spartia holidays transport you to a tranquil village in south west Kefalonia. Located in an elevated position a mile from the coast, the resort is surrounded by orchards and meadows. Holidays to Spartia can be taken from April until October with temperatures rising to a pleasant thirty degrees at the height of the season. Holidays in Spartia are popular with couples of all ages, hill walkers and families with older children. The twenty minute walk to the beaches deters those with small children. If you are looking for a relaxing break with a guarantee of summer sun, our cheap Spartia holidays may be just the ticket. Life in the village is lived in the slow lane, some may even say it's on the hard shoulder, so if you want to forget about your cares back home, this is the place to be. With comfortable accommodation and excellent friendly service, our low cost Spartia holidays are sure to please. Our bargain Spartia holidays can be as active as you wish as there are walking trails into the hills and along the coast. These offer glorious views over a stunning landscape. Our Spartia holiday offers give you the experience of a traditional island village where restaurants serve local food and evenings are spent strolling through the streets enjoying a meal and a drink with family and friends. For further details and to view our best Spartia holiday deals, please use the search facility.